For everything else, our guide is your go-to authority! Begin your exploration of Queensland by touring Cairns to check out more than just the reef; natural wonders abound that include myriad scuba-diving opportunities that will get you so close to the coral, you will be thrilled. This area has untold numbers of attractions to keep you engaged if Mother Nature doesn't do the job: Sky dive or bungee jump if you're a thrill-seeker or just stick to terra firma by exploring the West Tropics Rainforest before you set off for Townsville and Magnetic Island. Finally, make your last stop in this state at the nation's surfing epicenter: the Gold Coast. Sure, it's a touristy location catering to international visitors in search of the perfect wave, but you can relax, be yourself and hobnob with others who share your disregard for dressing up and being seen. On the other hand, if school's out, you may wish to avoid the Gold Coast like the plague because this is Mecca for graduating Australian teens intent on having the celebration of a lifetime with their buddies. While you undertake your Sidney stay, find a hostel so you don't spend too much on lodgings and don't leave without spending a little time in and around the Darling Harbour area, indulging in some shopping and people-watching at outdoor cafes before you head out for your next destination. If you require an infusion of nightlife, you can find it here before you pack up your rucksack and make your way to Victoria. Perth may be a city, but it's as different from Sydney, Brisbane and Melbourne as Los Angeles is from Baja. You will find plenty of beaches, great bike paths if one of your goals is to tour from seat of a two-wheeler and there are plenty of nature preserves to provide your environmental fix, but there's something about backpacking around this area that's exceptional. It's the isolation. You get a few civilized amenities but it's like stopping at a place that's the only inhabited area in the world. Making Perth your final destination isn't a wise move if you intend to add a New Zealand extension to your adventure (Queensland's Cairn is in closer proximity), but it's the ideal place to collect your last thoughts and explore the final wilderness before you book a seat on any of the international airliners flying in and out of Perth to return to reality. Airlie Beach: Base Airlie Beach Resort Hostel. Rates begin at $22. Brisbane: Bunk Backpackers Hostel. Rates begin at $21. Byron Bay: Nomad's Byron Bay Hostel. Rates begin at $26. Byron Bay: Byron Beach Resort Hostel. Rates begin at $26. Cairns: Gilligan's Backpackers Hotel & Resort Hostel. Rates begin at $19. Hobart: Transit Backpackers Hostel. Rates begin at $17. Melbourne: Flinder's Station Backpackers Hostel. Rates begin at $27. Melbourne: Urban Central Backpackers Hostel. Melbourne: Rates begin at $31. Melbourne: Space Hotel Hostel. Rates begin at $22. Melbourne: Elizabeth Hostel. Rates begin at $24. Melbourne: Discovery Melbourne Hostel. Rates begin at $26. Melbourne: Pint on Punt Hotel Hostel. Rates begin at $24. Melbourne: Nomad's All Nations Hostel. Rates begin at $17. Noosa: Nomad's Noosa Hostel. Rates begin at $22. Sydney: Maze Backpackers Hostel. Rates begin at $23. Sydney: Wake Up Hostel. Rates begin at $31. Sydney: Nomad's West end Backpackers Hostel. Rates begin at $20. Sydney: City Central Budget Accommodation. Rates begin at $21. Sydney: Summer House Backpackers Hostel. Rates begin at $17. Northern Territory. If you settle down in Alice Springs for a lengthy stay, you will experience more extremes in temperature than in Canberra, much more extreme so beware, prepare for it when you pack. Need we add that Darwin, at the top end of this state, has a dramatic rainy season between November and April that can include monsoon rains and storms? Take this into account if the Northern Territory happens to be on your itinerary during those months. This nation is a backpacker's dream because it caters to people whose idea of getting away from it all has more to do with a scenic patch of nature than a night out at the Sydney Opera House. The following campsites are a taste of what's available to travelers who don't want spend a fortune on lodgings. Some require a trailer (caravan) while others are happy to let guests pitch tents. Some are free. Others charge a minimal amount. Supplement these suggestions with listings in your guide book or contemporary listings on the Internet (e.g., www.australiancampsites.com.au/index.php/campsite-search.) where you can refine your search to find the campsite you require. Keep this in mind when you browse this and other lists: prices quoted below are Australian dollars and they are subject to change at any time. Thredbo Diggings located in the Kosciuszko National Park offers free camping but car park fees are pricey at from $16 to $27 a day, depending upon the season. There are no toilets or showers, but plenty of downhill skiing, bushwalking and mountain bike riding opportunities. Bursts of Alpine wildflowers in spring make it a photographers dream from January to March. Located 20km southwest of Jindabyne. Cape Riche. This campground, located 115km northeast of Albany, is a bargain-hunter's dream. Even though the showers are cold, they are available to backpackers, in addition to toilets and water, for only $5.50 per person per night. The water views are spectacular as is the swimming and fishing�unless the weather happens to be windy in which case you will want to repair to your vehicle or batten down the tent. June to October: Travel to Victoria or New South Wales or stick around Queensland if you happen to be there already�to help harvest citrus, bananas and vegetables and/or pack and crate crops for domestic consumption and export. Learn more about Jane Austin than you ever imagined by showing up at the Jane Austen Festival Australia (JAFA), an annual pilgrimage to Canberra made since 2008 by the author's faithful fans. It's a three-day event staged in mid-April that always features a theme. For 2015, it�s a tribute to the 200th anniversary of Napoleon Bonaparte's Battle of Waterloo, so if you own French costumes from that era, you won't stop traffic if you don one to show up for Jane Austin films, horse and carriage rides, archery competitions, musketry displays, sewing workshops, plays and three grand cotillion balls. Some events are by invitation only, but there are plenty of other things to do that don't require your RSVP or a pair of elbow-length gloves. The Adelaide Fringe Festival isn't your father's film fest�hence the descriptor "fringe". Around 800 events take place at venues throughout the city, so you can get your fill of entertainment in just one location without having to pull up stakes or abandon your hostel room. The city shuts down to host cabaret, dance, film, visual arts, puppetry and music performances that run the gamut from silly to serious, so if you're looking for an annual event that takes place in either February or March, show up or don't complain about losing what may be the only time of your life you have an opportunity to choose from 800 entertainment experiences. The Festival in the Forest is the ultimate in medieval celebrations and if you attend the Balingup event in August, a costume is not just appropriate but welcome. Listen to flute, lutes and fiddles, visit old time market stalls, enjoy street theater and the carnival atmosphere of the annual dress up party. Authenticity is the name of the game so if you like your festivals modern and contemporary, you might wish to take a pass on the 14th Annual Festival in the Forest. On the other hand, where else will you have the chance to address everyone you meet as M'Lord or M'Lady? It's usually cool when this festival is held, so a sweater makes sense�or just rap yourself in the trappings of a cloak purchased from a clothing stall and you'll be right in style. Travelling by campervan in Australia is very popular amongst backpackers. 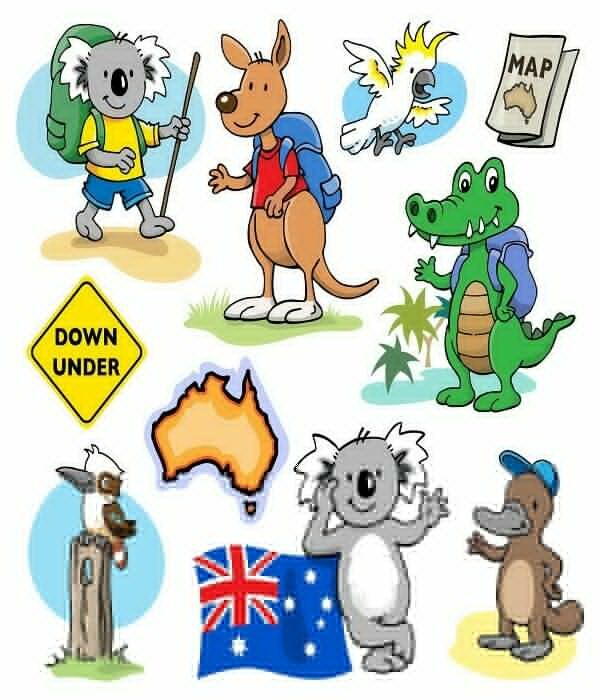 Once upon a time, backpackers relied on maps, calculators and compasses to plot routes from area to area, but times have changed, you can compare and hire a camper van in Australia right here with us, we have the cheapest campervan hire covering Australia and worldwide. Most campervans now come equipped with modern day facilities such as GPS and electronic mapping technology that requires nothing more than pressing a few buttons, inputting parameters (the names of the departure and destination points) into dialog boxes and voila! you are of in your motorhome around Australia. Please make sure if you are planning a trip by campervan that you make sure your well equipped with supplies and if you happen to head off the beaten track ensure you let someone know where your going and try to stay out of the treacherous conditions such as sand and mud, campervans are not built for this. To give an idea of the vast distance between the most frequently bridged places in Australia we have compiled a list below so you can see if it's feasible to set an itinerary that's practical and efficient for taking a campervan. Grab a map and use it as your visual guide. 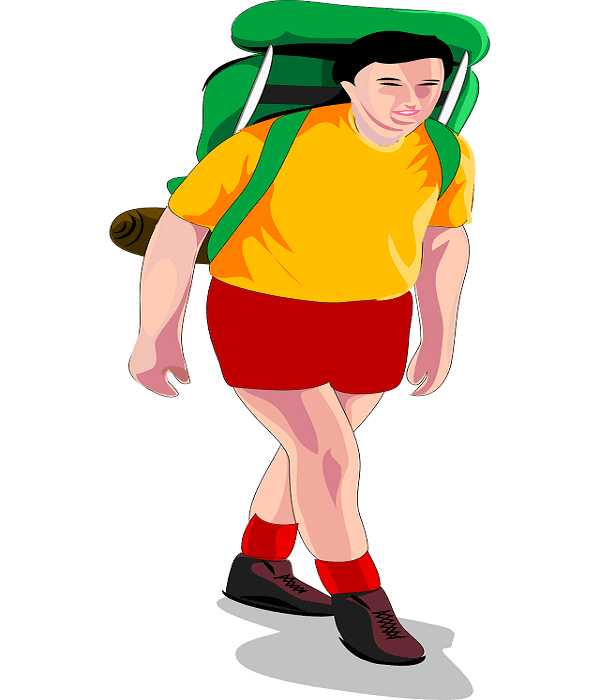 Please include attribution to https://www.compareandchoose.co.uk with this backpacking article.